Imagine if you could make $100k+ a year, create the schedule and lifestyle that you want, AND go on regular ‘workations’— to the most beautiful places in the world— all expenses paid? It sounds like a ‘cool’ job, but how does one actually work on private jets? In ESSENTIAL JET LIFE e-course, I will share everything that I have learned in about how to become a successful private jet cabin attendant! How I was able to succeed quickly and find sustainable success! How I went from minimum wage and broke to making six-figures in my first year flying. I’ll give you every tip I have on the training to take, how to stand out from the competition, resume template examples and writing advice industry networking secrets, bonus material, and more! In this course, you will gain a better knowledge and understanding of the industry and if 'Corporate Flight Attendant Life' is the right choice for you. In both my flying career and writing career, I succeed much more quickly IF I have a model, mentor, or guide on how to do the 'next thing.' Essential Jet Life exists as that guide and mentor designed specifically with you in mind. Choose to give yourself the BEST POSSIBLE chance for success by investing in yourself, today! The e-course is organized into six modules, beginning with an explanation of the industry and building into an in-depth look at essential aspects to consider when pursing a career as a corporate flight attendant. 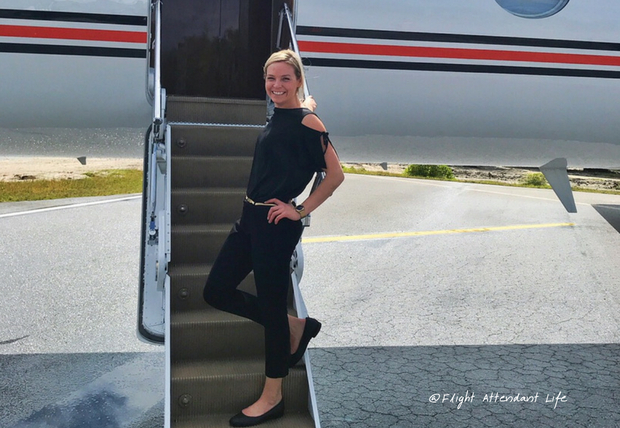 From marketing yourself to long term career growth— to actually landing flights— you will learn every secret and strategy that I do (and have done) to create my own successful corporate flight attendant career. ESSENTIAL JET LIFE is the place to find relevant and up-to-date information on what it actually takes to break into private aviation. Sign up for the course today! Pre-Enroll for ESSENTIAL JET LIFE Now!